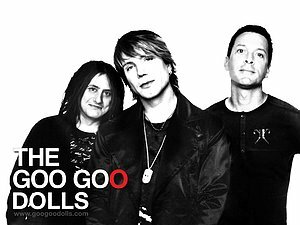 It's been four years since we've seen new music from the Goo Goo Dolls. Even though the new album "Something For the Rest Of Us" won't hit store shelves until mid July, the band has been sampling new tunes in front of live audiences since the current tour kicked off in April and the band seems happy with the response. According to bassist Robby Takac "We're really proud of this project and decided we needed to get out on tour and get back in front of our fans even though the release was pushed out a bit". The initial making of the bands ninth studio album took a little longer than originally thought, causing the band to miss the original target date. 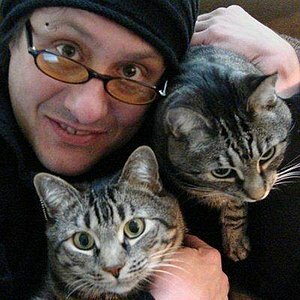 The additional time presented an opportunity for the band to revisit the project, do some additional editing, and bring in the live band and remix some of the tracks, bringing to the record what Robby calls our most organic approach to recording since the very beginning, bringing with it a special quality. Believe it or not, the Goo Goo Dolls have been making music together for over twenty years. The bands first major success came with the double platinum 1995 album "A Boy Named Goo" which included the hit "Name", and from that moment on, the band has never looked back. To put the bands rapid rise to the top in a local perspective, in October of '98 the band played one of Austin's most valued venues of the day "Liberty Lunch" in front of a small crowd. Eleven months later, the band headlined our largest venue - the "Frank Erwin Center". What a difference a year can make! With the release of the triple platinum ?Dizzy Up The Girl? which included the mega hits, ?Iris? and ?Slide?, the band found themselves at the top of the charts. Over the last decade, they?ve enjoyed continued success which has brought them to the Austin/San Antonio area several times. The bands last stop in Austin was on the ?Let Love In? tour in 2007 with an appearance at "The Backyard". I recently caught up with the bands bassist and co-founder Robby Takac to discuss several topics including the new album, the current tour, and the bands continued association with the charity group USA Harvest. The band is coming back to Austin and playing the Austin Music Hall on June 9th. You've played here several times over the last decade. How does playing in Austin compare to other cities? Ha! When I think of Austin, venues like Liberty Lunch come to mind, a great place with only half a roof! Also, the support system for musicians has always been great there. The atmosphere is just right for all kinds of music. Chances are you can walk into any club, look to your left and there's an awesome fiddle player and over on your right there's a organ player and it's almost intimidating because the bartender may actually be able to blow you away on guitar (Laughs), but it really all comes down to the diversity in the community and the support for all kinds of music that makes Austin so unique. All the new stuff and the rich music history there make it really special. We're looking forward to coming back. You guys have been together for over 20 years now. How has technology changed the way you approach things? It's always evolving and changing especially in our industry. It's a never ending cycle and it's obviously transformed the way musicians work. A few years back when we were on tour, it was terrifying playing new music especially in front of larger crowds. You know, we would be cranking out the hits and the crowd would be really into it and then play something they've never heard before and the reaction wasn't always what we were hoping for. Now, on this tour for example, many of our fans are actually singing our new material back to us or at least moving their lips! So, I think there is a better connection between musicians, new music, and the audience these days and yea technology is largely responsible. The record companies are going to take a pretty solid hit as time goes on, I know because I own a record label (Good Charamel Records). But I think they will evolve and reinvent as necessary. Technology is a very strong delivery method for something people hold dearly in their hearts - Music. I counted over 80 cities scheduled on this tour so far. What do you guys do with the other 22 hours of the day? Ha ha! Well, for a little over 19 years I got hammered and spent the rest of the time recovering (laughs) but I've cut that back quite a bit these days...Seriously, we just stay really busy running our lives...There's a lot of business to take care of such as my recording studio in New York, my record label, and other adventures and we all have things like that going on. I do like to do some regional wandering from time to time and I get to see some pretty cool places. I've certainly seen my share of tour buses and hotel rooms and I make a little more effort these days to get out and see this beautiful country when we have the time. You and I are about the same age, what bands/music inspired you growing up in Buffalo? Well, I was raised by my Uncles and they were a little older than average parents. At an early age, I was exposed to bands like The Rolling Stones, The Who, and all the popular rock bands from the '60s - you know, basically the sound of Woodstock. That's the kind of stuff I listened to around them. When I reached maybe eleven years and up I started creating my own identity and began the transition from AM radio to FM stereo. I started listening to bands like Kiss, Sabbath, Boston, and Cheap Trick - stuff like that. As I started college and my life opened up, I discovered more diversity in independent labels and bands. All of these things sort of lead me to my next step and eventually I found my own sound and writing style. Let's talk about the new CD. It was originally scheduled to be released last year and the date was pushed out to this summer, Can you tell us what that?s all about? Well, we started recording it in our home town - Buffalo, and went in with the approach similar to Van Halen where we go in studio without songs and come out with a great record - you know, sort of record as we write. But that's not really our thing. We worked there for a few months and created some great demos. We then moved back to Los Angeles for a while and hooked up with Tim Palmer as our producer. We chose Tim because he was more hands on than you typically see and there was just generally more input. We fine tuned and refined the demos and eventually headed back to Buffalo and worked for about six weeks there and went ahead and tracked the record. Ended up back in LA for overdubbing and thought we were pretty much done at that time. We decided to look closely at a few things and make a few tweaks and we wanted to do some remixes on a couple songs. Ha! We then ended up missing our original date which backed us up about 6 months. At that point, we had tons of time so we decided to go in and look at things like we never have, we actually had extra time to revisit the entire project which we?ve never done and took another three months fine tuning the record. We brought in our touring guitarist - Brad Fernquist who has been on the road with us for a few years. He brought a new element to the recording. It had been almost four years since our last record so we obviously wanted to get everything right for our fans and ourselves. Any strategy behind starting the tour before you had a solid release date? Not really, Our lighting and sound engineer, who actually makes the record, turned everything in and got it approved but we still had like three months before they could produce it and get it out on the shelves! (Laughs) what to do? Well, the record was done so we decided we needed to get out of the studio and out on the road and in front of our fans. We were freakin? out a bit because it's been a while since our last release and we really haven't been out in peoples faces for a couple years. We weren't sure if we wanted to tour before the record was in the stores and exposed to our fan base. We finally decided to play it safe and play small to mid size venues and we?re really doing extremely well! The reaction has just been great. We'll be having a big push in July and we?ll be playing some bigger venues outside. We?re looking forward to a great summer! I had a chance to listen to the new track "HOME" last night which is currently available for playback on your website - Loved it! Any songs on the new record that have special meaning for you? Hmmm. I would have to say now that the record is completed, I'm pretty attached to the entire project. It would be like trying to pick your favorite kid (laughs) they have to grow up a bit before Mom and Dad figures out who their favorite kid really is (Laughs). There is a special song called "The Sweetest Lie" on the new record which is a song that I really, really enjoy playing live...but...generally when I look at this record, it's the next step in what we do and we worked really hard on it and it would be really hard to pick one track over the other. Now, "Home" which is the song you heard, was the absolute last song we recorded and was an after thought actually. Something about that song seemed really fresh to us. It was recorded a little later and away from the rest of the record so it has a unique twist to it. You use a variety of bass guitars...what's your guitar of choice these days and can you share any details of your stage gear? My rig is pretty simple. When it comes to bass amplifiers, you just can't beat SVT, there's just no way. I use SVT in a 4x10 cabinet believe it or not and love it. I use a Tech 21 Sansamp preamp, a:bassmaster Octave, and a couple other toys but generally, my live set up is pretty basic which is, the way I like it. The Goo Goo Dolls are involved with USA Harvest; can you tell us how you work with this group? Yea, and thanks for asking about this. We've actually been working with USA Harvest for over 13 years now, with food drives at our shows. We place the street team in front of the venues in green t-shirts collecting food donations etc...Whoever brings the most donations to the show wins a meet & greet with the band. I was talking to Stan Curtis who we work with at USA Harvest and he is estimating we've provided some nine million meals over the 13 years we've worked together. That's just our contribution! Obviously, we're really proud of that. We're also working with Stan on another charity project called "Blessings in a Back Pack". They basically send kids home with snacks and other goodies on Fridays in high need school districts around the country. This is a new project for us but it's very inexpensive to sponsor a class and obviously makes a difference.